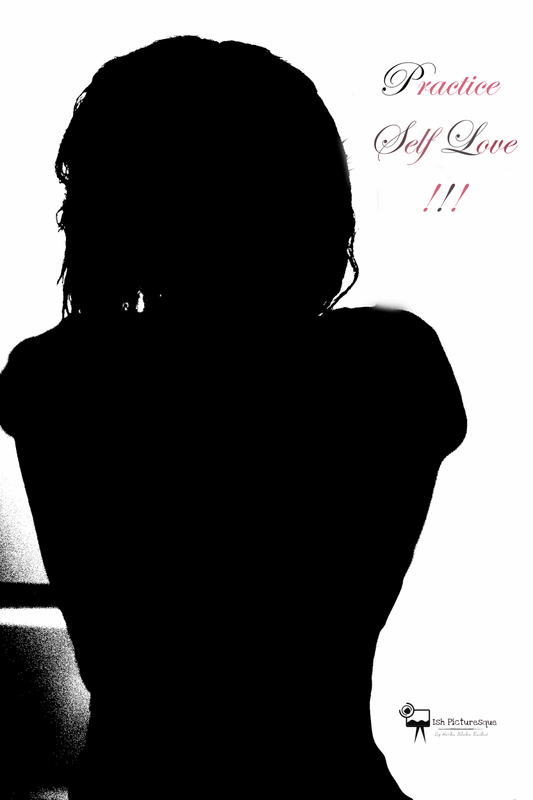 The Unequivocal Mind: Self Love!! I believe self-love is completely accepting who you are irrespective of your flaws and your imperfections. Not to venture too deeply and come across as narcissistic, but self-love is the most deserving of all loves. For some, loving who they are is difficult especially with cyber bullies and societal stereotypes but I feel like it's important to ignore all that and accept who you are. After all, your happiness is most important! I learnt self-love at a young age and on this post I'm going to try to share with you a few of the ways which helped me. When faced with a challenge, the moment you start with the words “I can't”, you will forever doubt who you are and what you are capable of. Sometimes we all need acknowledgement but don't let that become a necessity because Believing in yourself will lead to you believing and seeing your capabilities and with that you can conquer the world. Don’t be deceived by the models in magazines or the celebrities on TV. The moment you start comparing yourself to someone else is the moment you give your happiness away because no matter how good you are you will forever doubt your capabilities or whatever it is you are comparing. Remember it's ok to be different, if you look at every one around you chances are every one of them is different somehow and yes that ok, that's normal. "Happiness is found when you stop comparing yourself to people." Once you build your confidence chances are you will have learnt how to love yourself. You need learn from mistakes made and also celebrate achievements. Know your weakness and accept or improve them (if possible), that way no one can use them against you. Learn self-reliance, sometimes the less people you need to help you the better. Having a positive outlook and using criticism as a learning tool can also help you improve your confidence. "Confidence isn't a talent, it's something everyone can master and once you do your life will be better than it is." Pessimism is a disease that can delete your happiness, being optimistic or better yet realistic is best for your mind as it can reduce worry and anxiety. Balance in life is necessary, the good and the bad all help to shape your life without the bad the good wouldn't exist. I'm not saying you must have negativity in your life but chances are it will exist as some point and you need to avoid it as best you can before it remains a permanent; so cut off as many negative people and vibes as you can. "Embrace the negatives and positives of the present and never let negativity overshadow positivity!" Always remember that the past is history; accept, learn and leave it behind because holding on to it could limit your happiness. It's ok to have different moods most importantly it's ok to be unhappy! Nobody is perfect, change is ok, spread love and always be thankful! "For you to become the best of you, you need to accept you for who you are and only change the changeable!" Such an amazing post and true story! keep on the good job! You wrote the greatest tips, thanks for sharing! Such an important post, thank you for sharing!